How to transfer HD Videos to Google Nexus 6/9? Nexus has always be the self-confidence multi-functional Tablet. Equipped with Android 5.0 Lollipop system , making this Tablet running more smoothly and more humane. Not only as a good assistant for your work but also a well entertainment tool for your life. Most of us like to use Nexus watching HD Videos , but how to transfer HD videos to Nexus will be a big problem. Some of the videos just don't compatible with the Nexu. 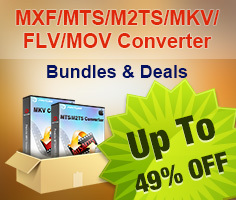 Pavtube Video Converter turns out to be a best way to solve this. If you want make your unsupported videos transfer into Nexus , then you have to try this one. What's more, you can improve the quality of your videos to make it playback on your Nexus 6/9. Here we will take about how to stream videos into Nexus 6/9. After learning about the format thing, now we can start to transfer HD Videos to Nexus . Since the running system is Android, here is how to move videos into Android system. Step1: Make sure that your device's screen using a USB cable. Step2: Connect your device to your computer using a USB cable. If you're asked to select a USB connection on your device, choose Media device (MTP). For Mac OS X system, the transfer videos to Nexus steps can be found here. condition, how about some unsupported formats which Nexus can't playback? And how to transfer videos to Nexus with unsupported format? Step 1: Launch this converter on your computer , click "File">"Add Video/Audio" to load your files. Step3: Adjust your parameters if you need. If your videos are not clear, you can click "Settings" to improve the quality to choose higher Bit rate and Frame rate. After that, you will have the most HD and friendly videos for Nexus to enjoy. How can I View HD Videos in Different Formats on Nexus 10 with Full Screen? 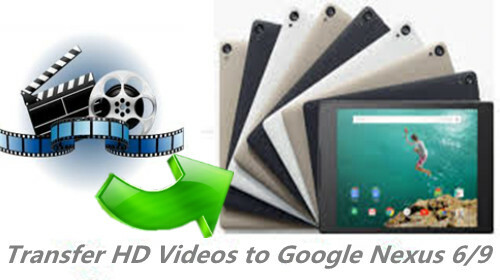 How to Transfer MKV, AVI, VOB, TiVo, MPG, WMV, FLV, Video to Nexus 5 with Best Quality ?